Formspring s'éteint le 15 avril. C'est l'occasion de passer sur kwest ? 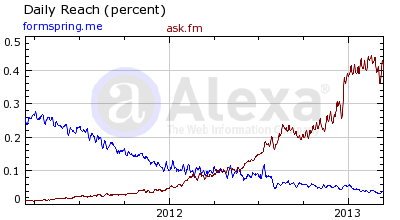 Formspring, a startup that helped pioneer the "ask me anything" format of anonymous Q&A online, is shutting down. The San Francisco company announced the news in a blog post this afternoon. 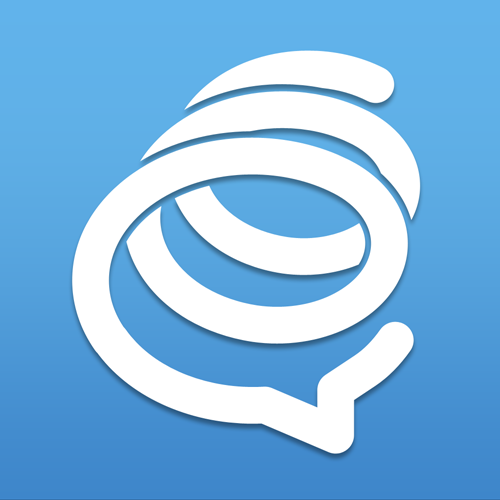 The closure of the Q&A platform will occur March 31st, and users will be able to export..
Formspring, a once-buzzy site that counted more than 28 million users for its ask-me-a-question service, was the Snapchat of its dayâan Internet service popular with teens and misunderstood by adults, and well-funded by eager venture capitalists. [...] four years and $14 million later, CEO Ade Olonoh announced that the company is shuttering its doors at the end of March, writing that Formspring wasn't able to "sustain the resources" to keep going. Des questions/besoins admin en ce moment ?